Call 'em in with the buzzer, nail 'em with the RotoTail! Just like with the spinnerbait, now you can attract fish straight to a buzzbait hook. 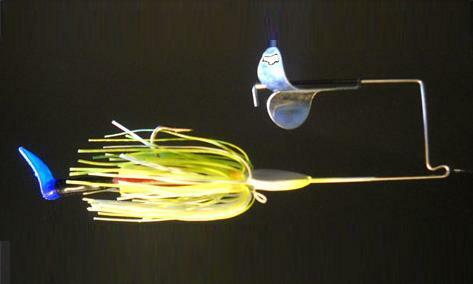 The RotoTail adds vibration and flash that fish can zero in on under the water. Unlike the buzzer which is very important to calling fish from long distances as it sputters on the surface, the RotoTail actually leads them to the hook. That is exactly where you want them. End the problem of fish notoriously missing the buzzbait hook. Instead of chasing them by casting a worm to the area of a blow-up, just put a soft RotoTail on the buzzbait in the first place and end missed strikes forever!